Some things change; others stay the same. 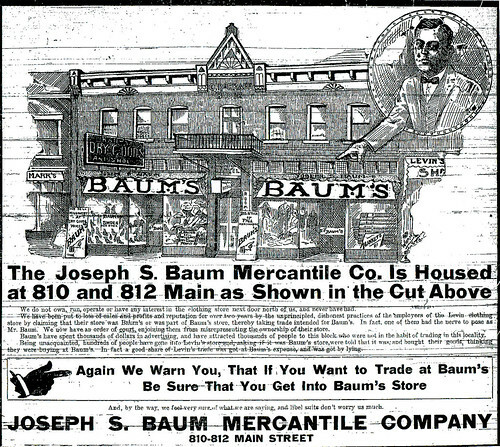 A look at a sampling of ads from an issue of the 1915 Joplin Globe illustrates this. For Sale – Good single horse and express wagon. Joplin Wholesale Grocery. Work Horse for sale cheap. 2409 Bird. Fresh cow and calf for sale. 1107 Bird. Team of mules for sale; weight about 1,000 each. 1116 West A. Team, harness, wagon, $100. 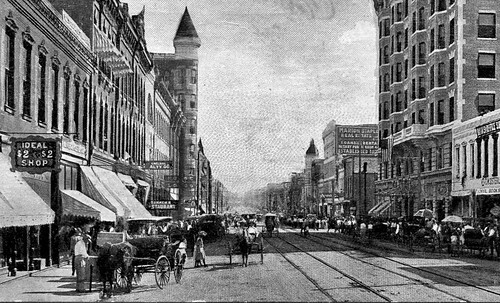 C. Rouse, one-fourth mile west Central City. Phone 8011-J2. Twin-cylinder Harley Davidson motorcycle, 1914 model, complete, run less than 40 miles. Box F-16, care Globe. For Sale – 1913 model 50 T. Cole automobile, electric lights and self-starter, new tires; car in fine condition. Address J.J. Scheurich, Joplin, Mo. Residence phone 3655. For Sale – Cheap; Saxon roadster, in good running order. D.C. Smith, Radley, Kan.
One pair of fine diamond ear screws, weight 1 ½ carat, at a bargain. Dameron, 1412 Main. New White sewing machine. See L. John, 701 Pearl Street, or phone 1962-J. For Sale – Player piano, nearly new; perfect condition; original cost $700, will sell for $350 cash or terms. Coal – Best lump coal, delivered, $3.95, weights guaranteed. Phone 422 or 1647, Pittsburg, KS. A good Mills slot machine; good working order. Address Edwards , 108 North Kansas, Columbus, Kan.
For sale cheap if taken immediately. $200 Victor Victrola, perfect condition. Box F-1, Globe. Beautiful $25 blue serge coat, size 86, $5. Call 3822-R.
Hand-made spring wagon at a bargain. Pearl Brothers. New Steinway Baby Grand piano. Box E-10 care of the Globe. National cash register in fine condition. 814 Moffet. Bargain is satisfaction. Vola Vita hair tonic. Good bicycle for sale. 1922 Carter. Wanted – At once, a lady bushler at 421 Main. Wanted – Woman that wants to work. Great Northern Hotel. Wanted – Girl for general housework. Mrs. J.T. Hughes, 810 Virginia Avenue. Government jobs for women; $70 a month; list positions now obtainable, free; write immediately. Franklin Institute, Dept. 653, Rochester, New York. Wanted – Mending. Call 511 Picher. Modern sleeping rooms. 413 Wall. Seven Room modern house. 2218 Joplin Street. For rent – 4 room cottage. Call 1402 Pearl. Modern 5-room apartment, all conveniences. 421 West A. For rent – 4 room modern house, large barn. 2214 Pearl. Lost – Fresh Jersey cow; liberal reward for return to 728 May. Strayed – Five calves, black Jersey, two yellow heifers, two bull calves. Phone 1390. Lost – Sealskin wallet containing pictures and papers; suitable reward for return to B.B. Standard, King’s Book Store. Coat taken from Keyhill’s by mistake has been returned there; party getting other one, containing keys, please exchange. Lost – Bunch of about 12 keys on 2 rings, connected, between gas office and Villa Heights. Finder please return to gas office. Small tailing mill cheap. 206 Miners Bank bldg. Keystone No. 5 drill for sale. $1,150, special terms. Address R.H. Barratt, 316 Miners Bank bldg. Phone 3071. For sale – 25 h.p. Witte gasoline hoist in good condition, big bargain. Pittsburg Boiler Works. For Sale – 25 and 36 h.p. upright boilers, complete, with all trimmings. Liberty Bell Mining Co., West Seventh Street. Phone 848. Want to exchange Crystal White Orpington cockerel for baby chicks. 715 Byers. Hibbard’s White Rocks for sale. Cheap: stock, eggs, must have room for young stock. Hibbard, Oronogo, Mo. For sale – Barred Rock hens, cockerels. Mrs. Adkins, three blocks south Parr Hill school. Barred Plymouth Rocks, Buff Plymouth Rocks, Fawn Indian Runner duck eggs for hatching. 514 Picher. Fancy single-comb White Leghorn eggs for hatching. J.C. Wright, East Main, Carterville. Wanted – To buy moving-picture machine. Address F-9, care of the Globe. Wanted – 150 or 160 h.p. Bessemer gas engine. Call 3480-J. Wanted – A geared hoister, with or without engine. Phone 3391. 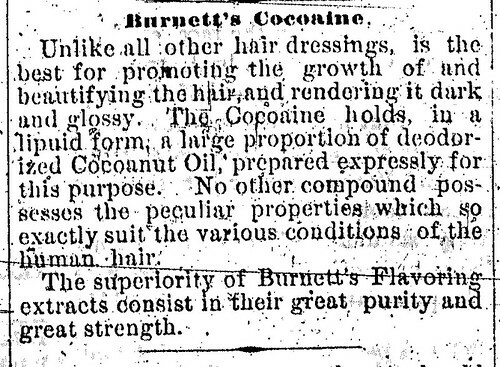 One of many products touted during the 19th Century was Burnett’s Cocoaine. As this ad from an early issue of the Joplin Daily Herald illustrates, there was no limit to quackery.